Purchase of the book is available on Palgrave Macmillian’s website. 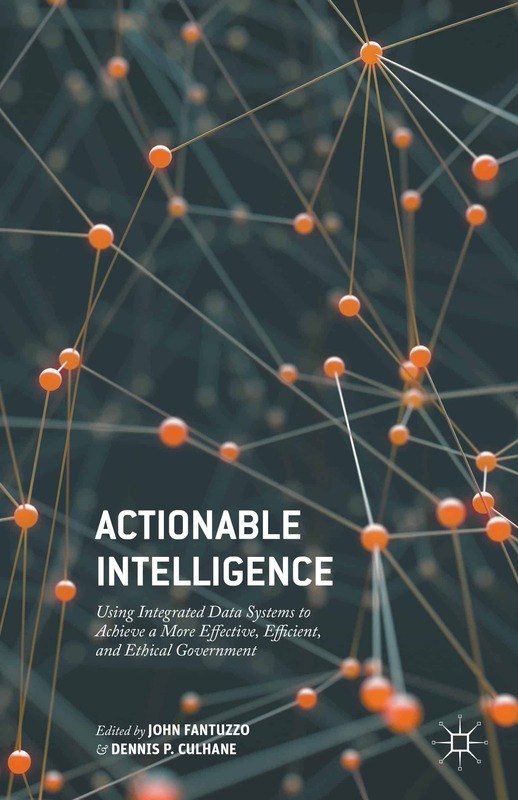 In this book we present a new approach to promoting more effective, efficient, and ethical intergovernmental decision making and problem solving—a system we call actionable intelligence for social policy (AISP). Actionable Intelligence (AI) is neither data nor research, although it involves both. It is derived from the combined contributions from executive leaders, practitioners, researchers, and citizens. It requires intergovernmental coordination and collaboration among bureaucracies. It is what is needed to inform disciplined, evidence-based decision making. We developed the AISP model to address the major limitations to traditional approaches to American public administration identified in the literature.